How Big is the Hopper Hard Drive? Two terabytes of memory make up the Hopper 3’s hard drive. The Hopper 3’s memory is practically limitless, with up to 500 hours of HD storage available. That’s more than 20 days of your favorite shows, movies and sports, all in HD! You can also use the Hopper 3 to store up to 2,000 hours of SD programming. You can double the memory of your Hopper 3 with an external hard drive, thanks to a USB port located right on the front of the Hopper for easy access. Use an external hard drive with its own power supply to add anywhere from 50 GB to 2 TB of external memory with a single disk drive. How Many Shows Can You Record at Once with DISH? 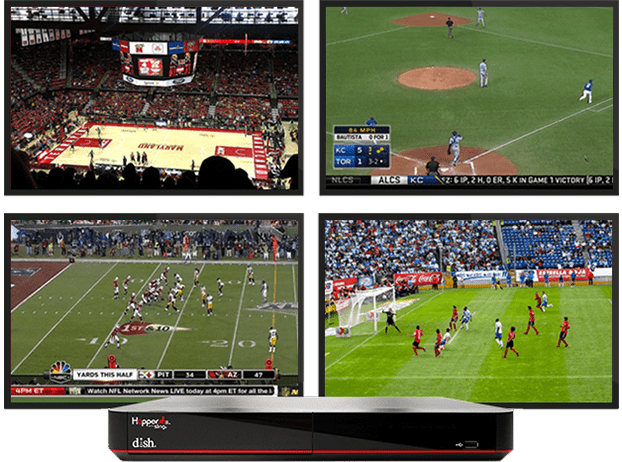 The Hopper 3 records up to 16 shows at the same time, double the amount of any other DVR available! This is because of the Hopper 3’s 16 tuners, which let the whole family watch now and record for later with zero conflicts. ABC, NBC, CBS and Fox are automatically recorded onto the DISH Hopper hard drive during primetime with PrimeTime Anytime. These shows are available to watch during the following week, with no commercials thanks to AutoHop. All of these channels use only one tuner to record and don’t use storage space in your Hopper, minimizing their impact on your system so you can record and store even more. *With PrimeTime Anytime, you can record all of the primetime programs from ABC, CBS, FOX and NBC and keep them for up to 8 days. AutoHop feature is available at varying times, starting the day after airing, for select primetime shows on ABC, CBS, FOX and NBC recorded with PrimeTime Anytime. The hard drive of the Hopper 3 from DISH, at 2 TB, is almost double the 1024 GB hard drive of direcTV’s Genie. The Genie does not automatically record with PrimeTime Anytime, meaning that more of the DVR’s limited storage will be used to hold primetime TV. 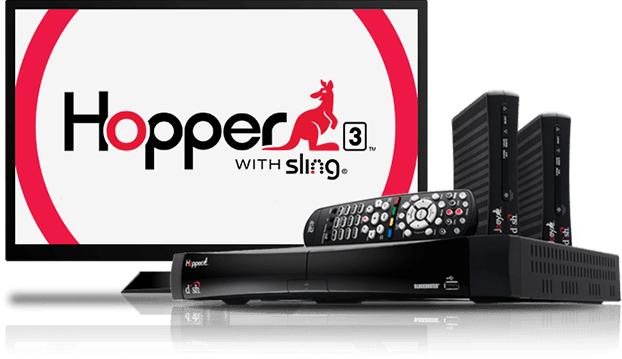 The Hopper 3 also includes built in Netflix, 16 tuners and Bluetooth capabilities, unlike the Genie. Compare the Hopper & Genie!